I don't know why I like Purity Ring. By every standard, the clear R&B influence, to the the crystal like electronic beats and uber pristine production, I should completely reject Purity Ring with every fiber of my being. But instead, with every new song they release, I fall in love with the band a little bit more. And with the release of "Fairshrine", I just might have to propose. There have been people who have say that "Fairshrine" might be Purity Ring's best song to date and the thirty plus listens within the past day do not contest. The glory of "Fairshrine" lies in the way it is the fulfillment of everything Purity Ring have been building to. The production is at once eerie and glowing. It is what would be playing in a subterranean cave you just discovered lit only by strange, cave light. The lyrics only add to the juxtaposition of the song. Purity Ring are know for grotesque and surreal lyrics, but few bands could have the line "Cut open my sternum and pull" as a chorus line and not only make it work, but manage to attach some absurd beauty to it as well. 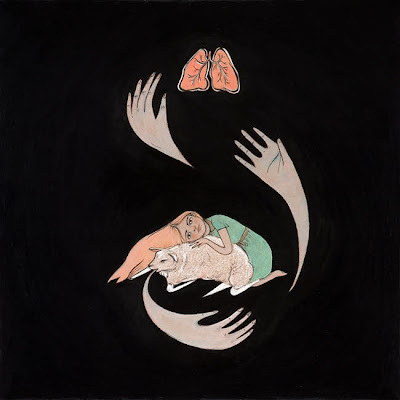 "Fairshrine" is just unbelievably striking, proof Purity Ring haven't even scratched the surface of what they can do, and above all else one of the best electro pop songs of the year.